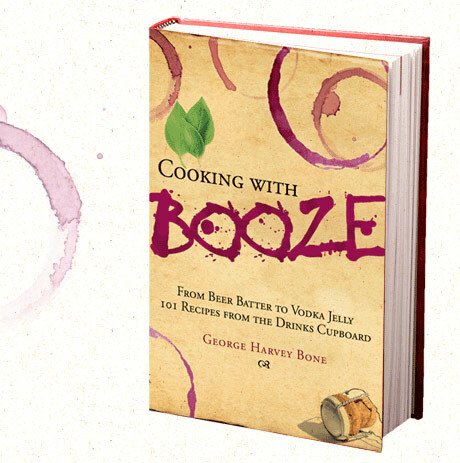 For a long time I have genuinely wondered why a book all about cooking with booze didn’t exisit? At one point I even toyed with the idea of writing one myself, no need to bother now because James Bridle has written Cooking with Booze. It isn’t just a random anthology of boozey dishes collected by an editor, he’s actually got a long family tradition of gathering and archiving these dishes that’s been going on for generations. “My maternal grandfather was well known in the County for his extraordinary home-brews. The release of his Attic Stout No 4 upon an unsuspecting village fête led directly to the defrocking of a bishop and the loss of an entire scout troop”. All the main booze groups are covered, there’s Wine, Forified Wine, Beer, Cider, Vodka, Whisky, Rum, Brandy & Tequila. You can see the recipes online, but this book is so damn good I think you need a hard copy in your kitchen at all times – buy it now! All I need now to complete my dream cookery book collection is one on Recipes you can drink too. What I mean by that is dishes that all the preparation is in advance and the cooking time is very very long, so you have plenty of spare time to get hammered with your guests before dinner – James, sequel? Feb 26	This entry was posted in Drinking, Stuff to Buy by cookie. Bookmark the permalink.